Taipei, Noida and Seoul – January 30th, 2019 – ALi Corporation, a leading Set-Top Box (STB) chipset provider, Dish TV India Limited, India’s largest Direct-to-Home (DTH) operator, and HANDAN, the leading supplier of multimedia and home entertainment devices in Korea, proudly announced that they have further extended their partnership by launching the latest hybrid solution, “Dish Box” to enrich TV experience for subscribers in India. The new set-top box developed by the partnership will be highly connected to enable OTT (over-the-top) viewing entertainment. Dish TV India Limited, being the leader in DTH service and TV distribution in India, is expanding its OTT offerings by introducing Dish Connected Box to allow subscribers to enjoy both DVB TV broadcasting and OTT contents. ALi Corp.’s secure value SoC (system on chip) was chosen due to its wide compliance with mainstream CAS (conditional access system) security features, ideal for DVB-S2 Pay TV applications. In this joint collaboration, the secure SoC was adopted as the core of the Dish Connected Box to integrate OTT Apps, developed by Handan. The integration of hardware, software and middleware will enable subscribers to view both OTT apps and DVB-broadcasted contents. “Set-top boxes must be able to consume multimedia contents, like TV, videos, and even radio programs broadcasted through Internet protocol. 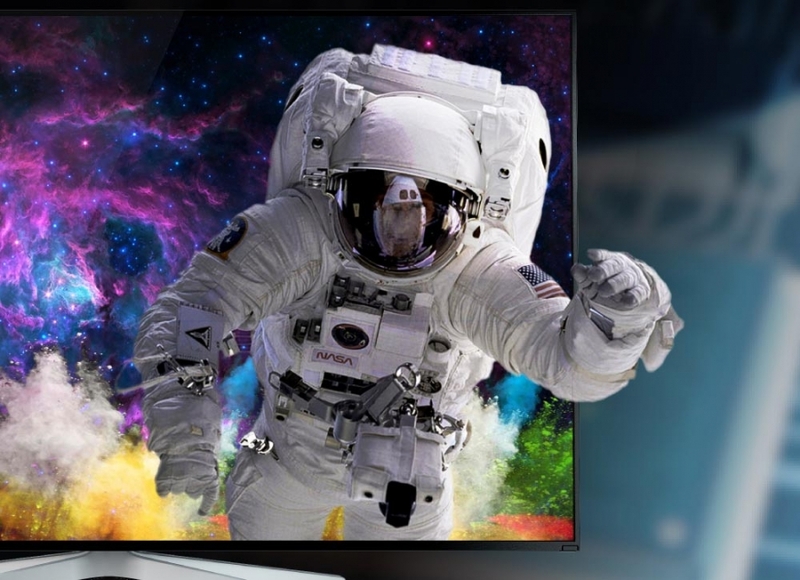 This is the trend that TV set-top boxes must be connected”, said Daniel Huang, CEO of ALi Corp. “We foresee the future that set-top boxes shall consume streamed contents over various streaming protocols. Thus, we are pleased that Dish TV India Limited partners with us to develop the hybrid solutions integrating WiFi connectivity and Google Widevine DRM. In fact, our SoC packs multiple features which can shorten the development time and accelerate the time-to-market process”. 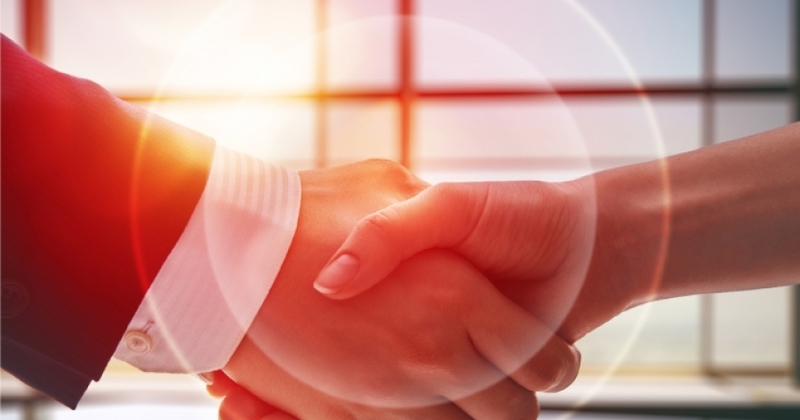 “As always, ALi Corp. has been a highly trusted and dedicated partner for us”, said V.K. Gupta, COO of Dish TV India Limited. “We are confident that our Connected Box will change the way multimedia contents are consumed. In fact, we will work with ALi to further enrich the Connected Box through further hardware-software integration, for it to go cloud”. 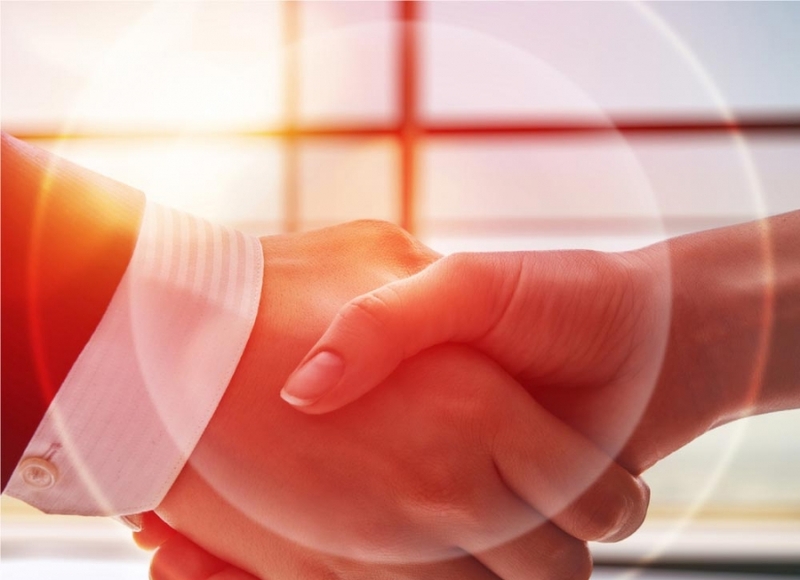 “Handan is glad to take part in the joint partnership to develop the latest hybrid Connected Box. This time, we are pleased to implement OTT Apps so that subscribers will be able to view both DVB and OTT contents,” said Y. Lee, CEO of HANDAN. “We will continue our dedication to work with ALi Corp. and Dish TV India Limited to expand market penetration in India”. HANDAN is the leading corporation in new media, home network and IoT service, with the mission to optimize customers’ values by supplying premium solutions. Through its philosophy of management and self-learning organization, Handan is achieving its goal to becoming one of the world's best. Broadcasting, Information & Communications will be its core business in the future. ALi Corporation is a leading innovator and developer in the set-top box (STB) system-on-chip (SoC) market. By fully leveraging its core expertise in the set-top box industry, ALi Corp.’s solutions are recognized for their high levels of integration, superior performance reliability, premier customer oriented service and compelling cost structure. Hundreds of Pay TV operators have adopted ALi Corp.’s solutions worldwide. ALi Corp. was founded in 1987 with headquarters in Taipei, Taiwan, R&D centers as well as sales offices in Hsinchu, Shanghai, Shenzhen, Zhuhai, Geneva, Seoul, and Noida, and technical support teams throughout Asia. For more information, please visit www.alitech.com. Taipei, New Delhi – January 25th, 2019 – ALi Corporation, a leading Set-Top Box (STB) chipset provider, has initiated further effort to penetrate the Indian market, with the next-generation STB (set-top box) chipset F8 series. 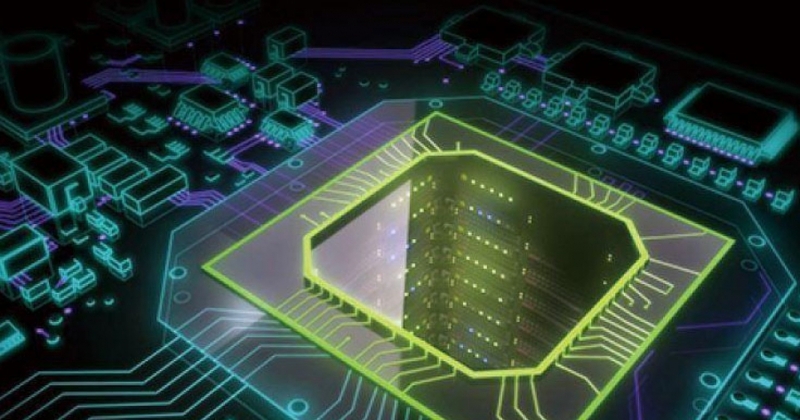 The new value SoC by ALi Corp. will reach its wide deployments in 2019. The F8 STB chipset series, formally M3711C, was launched in Q3, 2018 as the next-generation value SoC to echo the SD-to-HD transition in India region. F8 was designed as the cost effective solution for operators by offering good performance, with advanced security architecture compliant with world-leading tier 1 CAS (conditional access system) standards. Just on its path to deploy in the market, the new solution has been welcomed by local operators, through the efforts of STB manufacturers and CAS partners for their STB development and security integration. The new F8 (M3711C) family will be showcased at Convergence India 2019, from January 29th to January 31st. Welcome to visit for more information at D115, Hall 12, Pragati Maidan, New Delhi. Taipei – September 6th, 2018 – ALi Corporation, a leading Set-Top Box (STB) chipset provider, proudly announced that the company will launch its next-generation value SoC to echo the SD-to-HD transition in India region. The new platform, known as “F8” family (M3711C), indicates ALi’s commitment and dedication to offering operators, mainly cable sectors, the advanced security, high performance and cost-effective solutions to deeply penetrate the market of India. “This latest innovation shows our determination to deeply penetrate the market of India and establish a strong foothold. In fact, we expect the widespread of our F8 around 2018 and 2019”, added Daniel Huang, CEO of ALi Corporation. The new F8 (M3711C) family will be showcased at IBC 2018 from September 14th to 18th. Visit us for more information at BS19 and BS20, Hall 1, RAI Amsterdam. Taipei – September 4th, 2018 – ALi Corporation, a leading Set-Top Box (STB) chipset provider, proudly announced that the company will showcase multimedia and home-entertainment technology in the coming IBC 2018, from September 14th to 18th, at BS19 & BS20, Hall 1, RAI Amsterdam, as the commitment and dedication to this industry strengthened. At IBC 2018, ALi will showcase the latest innovations including the cost-effective real-time OS (RTOS) solutions for zapper products, feature-rich Linux solution for hybrid products and newly developed Android solution. Full portfolio of STB chipsets from ALi will be also demonstrated in IBC, from powerful ARM based Ultra-HD chipset, DVB-S2X chipset, to newly launched cost-effective SoC. STB samples developed by various STB vendors that have been deployed globally with various CAS (Conditional Access System) and Middle-ware will be also available for showcase. Continue the strength ALi invested at STB field, with the knowledge of consumer behavior, the channels of consumer electronics and the connections of operator eco-system, next generation the set-top-box innovations are delivering. Voice UI, Face recognition and data security are all well prepared technologies ready to melt into ALi unique great CP value system. ALi is going to create a wonderland for all the households to have more than home entertainment experience, with affordable, reliable, sustainable newly technology, to have a safer, easier and more comfortable quality life. For further information of ALi latest innovations, please visit ALi Suite at IBC 2018, BS19 & BS20, Hall 1, RAI Amsterdam from September 14th to 18th. 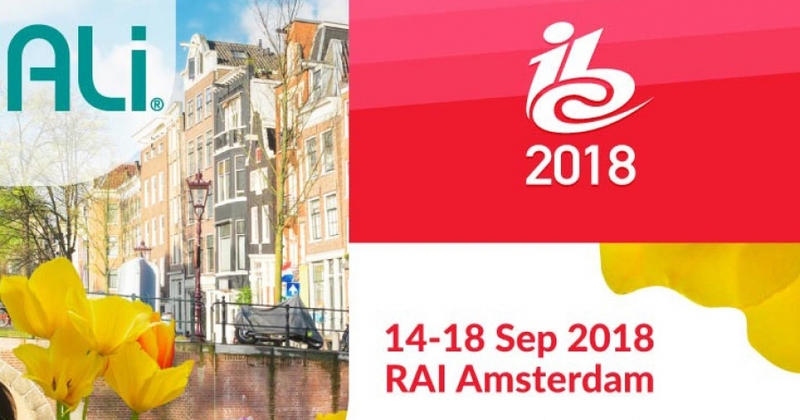 ALi Corporation cordially invites you to join us for an amazing experience of ALi’s latest achievements in digital entertainment at IBC 2018 on September 14-18 in Amsterdam, the Netherlands. 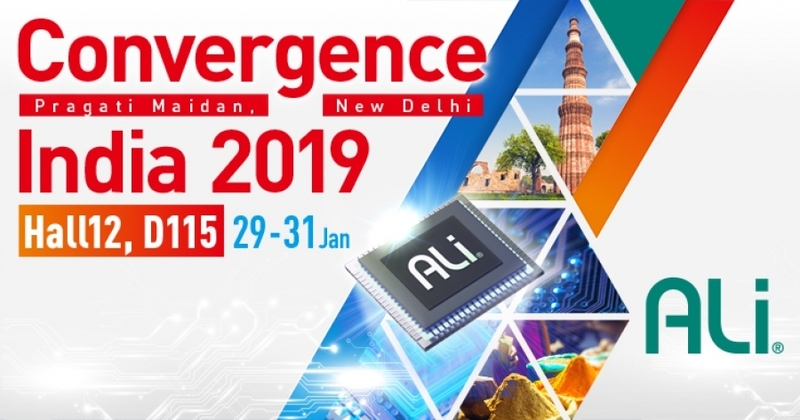 Visit us at our balcony suites BS19 & 20 (Hall 1, 2F) to see how ALi’s cost-effective and high-performance chipsets can assist you in launching innovative products and services with accelerated time-to-market. Taipei, Taiwan and Lausanne, Switzerland – June 26th, 2018 – ALi Corporation, a leading innovator and developer of Set-Top Box (STB) chipsets and iWedia, a leading provider of software solutions for TV devices to service operators and Consumer Electronics manufacturers, today announced that they have joined forces to provide a common offering for hybrid DVB+OTT STB. The offer is made of iWedia’s Teatro-3.0 software solution for Linux-based hybrid STB ported on ALi’s M3527 and M3727 STB chipsets. The announcement was made to coincide with the opening of CommunicAsia / BroadcastAsia 2018, which is held in Singapore from Tuesday, June 26th through to Thursday, June 28th. Both ALi and iWedia exhibit at the show where the integrated solution will be demonstrated. ALi’s M3527 (resp. M3727) is a cost-effective HD HEVC DVB-S2 (resp. DVB-C) SoC with advanced security. It supports high performance RISC CPU, 2D vector graphic engine, DDR3, Ethernet, HDMI, USB and HD multi-format video decoder. Its advanced security engine has got the latest certifications of major CAS vendors. Whatever the chipset and the OS, the SDK exposes the same APIs (called AUI – ALi Unified Interface) which accelerates the porting of third-parties software solutions. ALi’s M3727 was selected as the chipset platform for this co-development project with iWedia. The robust, feature-rich M3727 provides a secure environment for the deployment of iWedia software component and turnkey solutions. Besides hardware architecture, ALi AUI (Application Unified Interface) plays a significant role for the interoperability with APIs (Application Programming Interface) from iWedia software solutions, which also accelerates the deployment and development process with Android and Linux RTOS. Teatro-3.0 is pre-integrated with the main Conditional Access Systems to secure broadcast content and with the main DRM systems to secure OTT content. “With Teatro-3.0 Pay TV operators can deliver a mix of broadcast and OTT video services on the main screen using their own branded UI”, said Sunghoon Kim, VP Sales at iWedia. “The M3527 and M3727 SoC from ALi allow for a very optimized STB BOM and they thus efficiently target the first segment of the hybrid STB market – also known as connected zappers – for which massive deployments are foreseen e.g., in LATAM and APAC”, he added. “Our M3527 and M3727 chipsets are ideally fitted for the hybrid STB markets as they support the smooth and secure delivery of broadcast and OTT content,” said Willis Chang, Vice President of ALi Corporation. “With this integration with Teatro-3.0, we enable our customers, the STB ODM, to bring a better Time-To-Market to Pay TV operators. Moreover, they can leverage iWedia’s STB software integration services capabilities”, he added. ALi Corporation is a leading innovator and developer in the Set-Top Box (STB) system-on-chip (SoC) market. By fully leveraging its core expertise in the STB industry, ALi Corp.’s solutions are recognized for their high levels of integration, superior performance reliability, premier customer-oriented service and compelling cost structure. Hundreds of Pay TV operators have adopted ALi Corp.’s solutions worldwide. ALi Corp. was founded in 1987 with headquarters in Taipei, Taiwan, R&D centers as well as sales offices in Hsinchu, Shanghai, Shenzhen, Zhuhai, Geneva, Seoul, and Noida, and technical support teams throughout Asia. Please visit www.alitech.com for more information. iWedia provides software components and solutions for TV devices to service operators and consumer electronics manufacturers. Its mission is to deliver the software products and services needed by its customers to adapt constantly to the ever-changing requirements of the digital TV markets. In addition to stand-alone components giving support to DVB, ATSC, ARIB, ISDB-T, HLS, DASH, VidiPath, DVB>IP, MHEG-5, HbbTV, CI Plus, DTCP-IP, TR-069, etc., iWedia offers a range of complete solutions for zappers, connected receivers, Smart TVs, as well as for OTT and IPTV boxes. Dubbed Teatro, these solutions are available for RTOS, Linux/HTML, and Android/Java and are pre-integrated with leading service and delivery platforms, CA/DRM systems, and chipsets. Alongside its products, iWedia delivers efficient and scalable software integration services performed by an experienced team used to enable rapid deployments of high volume consumer electronics devices. iWedia is headquartered in Switzerland with development labs in Belgrade and Novi Sad, Serbia, and sales and support offices in Brazil, France, Germany, and Thailand. Please visit www.iwedia.com for more information. Taipei – Jun 25th, 2018 – ALi Corporation, a leading Set-Top Box (STB) chipset provider, proudly announced that the company will attend CommunicAsia 2018 in Singapore from June 26th to June 28th, at Marina Bay Sands, Level 1, 1H2-07. This is the 4th consecutive time ALi has attended the exhibition, revealing the strong dedication in PayTV industry. At CommunicAsia 2018, ALi will showcase comprehensive product lines spanning from hybrid solutions, Android/Linux real-time OS platforms, high DMIPS chipsets ranging from 1,000 to 14,000 DMIPS, and also chipsets pre-integrated with various mainstream CAS (Conditional Access System). Further, ALi will feature next-generation chipset supporting Smart Home Applications. “ALi has been known for its long-term dedication in home entertainment and multimedia, with its well-established STB solutions and R & D capability in expandable and scalable STB technologies,” said Willis Chang, Vice President of ALi Corporation. “ And with the rapid changes in audience demand, ALi will be further devoted itself in Smart Home applicable solutions that will enable us to enrich our quality of services to strengthen operators’ relations with their customers”. For further information of ALi latest achievement, please visit ALi booth at Marina Bay Sands, Level 1, 1H2-07, June 26th to June 28th, at CommunicAsia 2018.